New to my Blog? Start here. We gave Andy a wonderful send off, filled with friends, laughter, music, stories, just as he wished. People travelled from all over the world to be there and it gave the children and I such comfort to see all these fabulous people from so many areas of Andy's life talking and sharing memories. We held a Celebration/Memorial Service at Andy's former Drama School in London on Saturday 2nd January and followed it with his Funeral Service on Monday. We played many of the songs that Andy had requested and friends sang, read and shared stories of time spent with him, we even had a singalong to Hey Jude at the end of the memorial! Our children delivered incredible, heartfelt eulogies at the funeral, telling everyone how they would life the life their Dad had prepared them for, full of optimism and hope, fulfilling their potential and seizing the moment - I not have been more proud. I spoke at both the Memorial Service and at the Funeral and here's the transcript of my speech at the Memorial - it is very lengthy so you may want to grab a cup of coffee before you start reading, it's just indicative of the full life Andy lived. Thank you to everyone who has reached out to our family over these weeks, now we are going to have to learn to live yet another new life, this time the one without Andy. Daisy has been amazing, just like the rest of the children and we will be releasing some balloons in the next day or so with her so that she can say her own private goodbye, I will also blog on what it has been like helping a child with a learning disability understand that their daddy has died as I have already learned a huge amount on what and what not to do or say. Andy and I spoke a lot about funerals and celebrations, he was determined that his friends who knew him well and had shared so many experiences had an opportunity to share stories and have a laugh and reflect on a life well lived. It was never going to be about mourning or regret, that wasn’t Andy. The thing he really wanted you all to know was that he did not lose a battle with cancer. For him it was about optimising the odds, science, drugs, knowledge a smattering of NLP to give him the longest survival time. That time was just over a year. It was in the end less than he had hoped for but more than we ever thought possible in November 2014 when we were told that he had advanced, incurable colorectal cancer. Andy just squared up to it, he worked out his cards and how he wanted to play them and then we just got on with the business of living. After all this has been the way we have lived our lives since 22nd December 2004. When you have a child who you are told will not reach adulthood you don’t waste a moment, you stop worrying about the little things and you get on with the business of cramming as many experiences into your family life as possible. Which is why 2015 is a bittersweet year for us – it was Andy’s last year but oh man, it was such a great year. You’ve heard all about Andy from different people who knew him well but absolutely no-one in this room knew him like I knew him, we were soul mates, best friends, we were connected probably in a greater way than many couples by the adversity and challenges life has thrown at us. I didn’t actually think that much of Andy when I first met him. We were in the Three Compasses pub in Canterbury, I was at the University of Kent, Andy was visiting friends. I remember at some point in the evening saying to my friend Ali; “I don’t like Jon’s friend Andy much, he’s really full of himself and tells crap jokes” – well the rest is history. We bonded over music, I merged my Velvet Underground LPs with his Clash and we argued over politics, religion, food, anything really – honestly it would have been so much easier if he just agreed with me occasionally. We moved in together in a little flat just outside of the city walls in Canterbury and I completed my finals before we spent a summer working at a language school in the city together – I was the Centre Manager, he was the Entertainment Manager. He had the sharpest intellect and would take great pride in shouting the answers out at University Challenge, claiming that he was schooled in the University of Life. Which was sort of true, when I met him in 1988 he was coining it in, working on the big building projects in the city, but wasting his talent as an actor. He had attended National Youth theatre as a teenager at the same time as Colin Firth, but academic study wasn’t for him and sadly in those days you couldn’t do A levels in Drama and Film Studies, his biggest loves. Once I graduated from Kent, Andy gained a scholarship to attend ALRA,this very drama school and so we moved to London, it was September 1990. I remember he got a grant from the Royal Scottish corporation for everything he would need for his course and within weeks he had swapped his hard hat and steel-toecapped boots for tap shoes, a stagefighting foil and lycra – yes kids, if memory serves me right your dad had a leotard. He didn’t care, he was in his element, doing his vocal warmups on the way to drama school and living the dream. To subsidise the dream he worked a part time job in Sainsbury’s and I was on a graduate traineeship with Cable & Wireless. We had the best parties, stuff of legend, the sort where in the morning you have to pick your way around sleeping bodies to get to the kitchen. London – we had arrived, and we never looked back. Born in Scotland, raised in Basingstoke but London was always Andy’s home town – and our children are all well versed in our family tradition of chanting “when you’re tired of London, you’re tired of life” as we cross the river at Waterloo and marvel at the view. Andy’s first professional job after drama school was in pantomime with Cannon & Ball and Bernadette Nolan at the New Theatre Hull. His digs were the YWCA, no alcohol and no unmarried overnight guests – obviously we flouted all the rules and he was lucky to be able to stay. He was always in regular work – 6 months in rep in the lake district, two Mobil theatre tours, some ads, some small parts in TV he had a few contracts in the actors company at the Museum of the Moving Image which he absolutely loved – being on the Southbank, surrounded by the nations film archive, talking about films, meeting people every day. I think it was because of MOMI that he realised that his acting skills could potentially open up new avenues of work for him. He loved the work but he also loved being at home with me, family and touring (on an equity minimum wage) are not conducive to a happy home life. Andy took a contract at the BBC in the visitor centre and began to become involved in presentation skills training, this opened up new avenues and before long he began his training in Neuro Linguistic Programming, ( in time qualifying to master’s level) and began to work with his friend and mentor Marion developing and honing his skills and experience to specialise in Management Development. We bought our first flat together in Earlsfield in 1992. We had some great holidays – off to visit our friend Ben in the South of France, the best new year ever with Thijs & Annemarie in Amsterdam, a wonderful holiday in Portugal on our own together after Andy had finished playing Scotty in the stage version of Star Trek. Meals out, theatre trips, visiting friends, we were always broke because marriage to an aspiring actor doesn’t bring financial rewards but we were very, very happy. We got married on 12 September 1992, in Wales, Andy gave a hilarious speech at the reception which he had written literally on the back of a cigarette packet the night before which was the A to Z of our marriage and that evening he sang “Fly me to the moon” to me, he was never a shrinking violet, especially when there was an audience. And then in 1997 a new chapter opened in our lives - along came Theo and we became parents. Becoming parents was always the plan – we would never have stayed together if either of us had not wanted children but we also knew that we didn’t want children straight away. I am so grateful now that we had that time together, BC, before children. Andy was so proud of his boy and he revelled in being a father, it will not surprise you to know that he was completely and utterly hands on – he just loved it. We moved into our house in Raynes Park a few months after Theo was born and in 1999 Xanthe joined us. I remember him singing along to Have I told you lately? by Van Morrison just moments after Xan was born, he was buzzing. With two children Andy decided he wanted more stability than freelance training offered, I saw an ad in the evening standard one day for Trainers based in Wimbledon, and so his career at Sthree began. We always agreed that we wanted more than two children and so in 2002 Jules arrived on the scene – born at home, in a birth pool it was just perfect. Our family was growing, our house was growing as we added extensions and loft conversions, we were both travelling the world with work, sharing in eachother’s successes, Andy was riding his Harley Davidson to work and living the dream. In 2004 our lives changed immeasurably and while our world was turned upside down it took us to a new level, and helped us see life in a completely new way, shaping our whole philosophy for living. In a way Daisy’s premature arrival on 22nd December 2004 was an epiphany because life as we knew it would never be the same but without that experience we would not have become the people that we were destined to be. So Daisy Rose burst into our lives, our little ray of sunshine, very much planned and wanted, born with a sporadic gene mutation which causes Costello syndrome, born early and with the most extreme manifestation of the syndrome that doctors have seen. 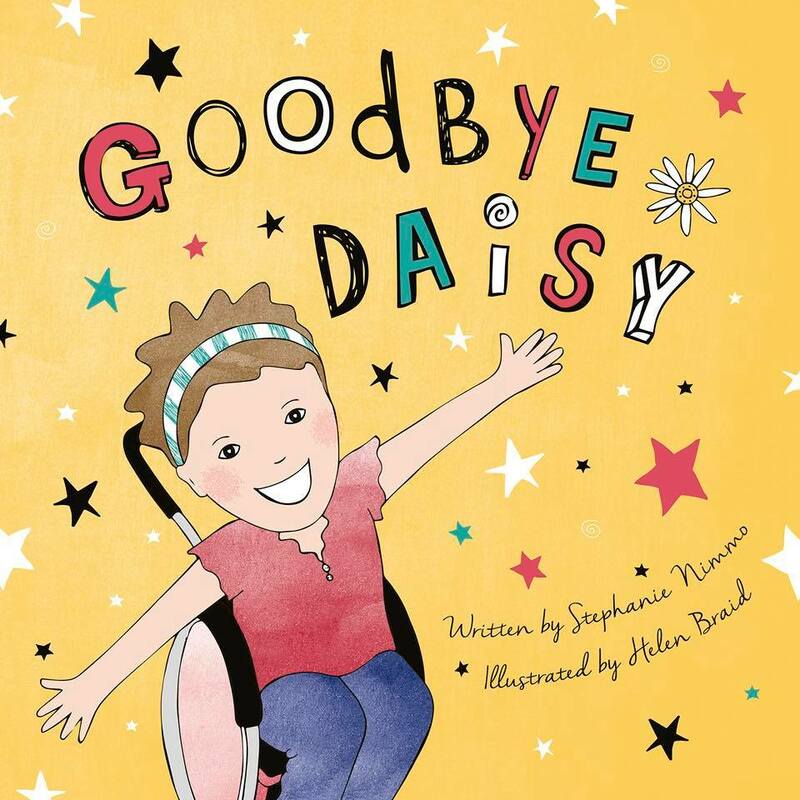 The experiences we have been through with Daisy would test any relationship, we have seen many special needs parents split up but the challenges we faced with Daisy only served to make us stronger. It was so tough when she was born, the realisation that life would never be the same but Andy and I soon concluded that we could either fight it or ride the waves, so we did, making the most of every day, despite the endless hospital stays. So even when Daisy would spend months, and at one point a year in hospital we would make the most of every scrap of respite offered to either spend time with the other children or to be with eachother. It would often include a swift drink in the local pub, dinner out at a newly discovered restaurant, a visit to an exhibition or even hiring a rowing boat on regents Park lake. When your time together is limited you learn to make the most out of the precious time you do get together and never take the simple things for granted, like just being able to chill on the sofa together watching a film and sharing a bottle of wine, a lesson that was to stand us in good stead last year. Our 2010 trip to Florida with the Caudwell Charity Destination Dreams trip where Andy rode roller coasters to his heart’s content and I happily stayed with Daisy watching – I do not do roller coasters, or bunjy jumps or throw myself out of planes – all the things Andy loved, but then Andy couldn’t understand how I could get a buzz from running 26.2 miles. As Daisy became less mobile and more medically complex holidays became shorter but we still crammed our lives with special moments, visited places, met people, had fun. And in between it all Andy was building a successful career while also taking his full on fair share of Daisy’s medical care. Many colleagues would not even be aware that many times he would come into work having spent the night on a camp bed in Great Ormond street in order to give me a break, he learned to do everything, administer IVs & TPN, change catheters, dressings, tubes – nothing phased him because it’s just what you did, to keep your child alive you learned the skills necessary. It meant that we could swap shifts and I could go away for a few days every now and then, including an annual trip to Glastonbury, knowing we did not need to use up precious hospice nights as Andy would just look after all four children – yes, maybe the house was a tip when I got back but everyone was happy and that was all that mattered. Ah yes Glastonbury. At long last, the year he turned 50 I persuaded Andy to come along to the place that means so much to me. I was really nervous in case he hated it but thanks to our lovely campervan Charlie I knew he would at least have his home comforts – namely somewhere to charge his phone. Thankfully , despite the toilets and the crowds he loved it. We had to miss Glasto in 2014 , switching to Latitude festival instead. That year Andy’s cousin Issy got married , when you get older weddings are few and far between so it was brilliant to see family again and engage in some good old fashioned dad dancing. I remember saying to Andy that weekend that he really had to start thinking about losing some weight, he was carrying some serious poundage and was in danger of starting to become very overweight. Over that summer he slimmed down a bit, cutting back on the beers, eating more healthily, we managed to get Daisy booked into the hospice and had a lovely few days together in France , the weather was perfect and we just walked and read and talked. By the autumn that year his weight was seriously dropping and he was not feeling good, learning the lessons from my dad who had died of bowel cancer in 2000 as soon as Andy got some bleeding he went straight to the GP, only a few weeks elapsed and by the time he had his endoscopy he was seriously ill, he had lost 2 stone in weight and was lethargic and unable to eat. 4th November 2014 we were told that Andy had colorectal cancer and within a few days it was confirmed to be stage 4, metastasised, incurable, hopefully treatable. And once again our lives switched gear. But this time our conditioning, from years of living with a life limited child kicked in. For Andy it was about understanding his odds, knowing what the cards were, the stats, what were the best conditions to optimise his chances. We secretly hoped for 5 years, we got just over 1 but we lived that year to the fullest knowing that at any point the cancer could outmanoeuvre us. There is absolutely nothing I regret and if Andy stood here now he would say the same. At no point last year did either of us say I wish we could have done this or that. From his treatment to how we chose to live our lives as a couple, there is nothing we would have done differently. When he was diagnosed we discussed bucket lists and anything that he would like to do before he died. There was nothing, Andy didn’t need a bucket list per se because he had done so much with his life, even down to having a dodgy tattoo, but there were two wishes – to meet Dave Grohl, and to see Arsenal win the FA cup. We made it happen. He met Dave and it really was one of the best days of our lives together – I mean, we got to sit on the side of the stage at a Foo Fighter’s gig and watch the band play, we got to hang out with Dave after the gig, we got the golden ticket into the inner sanctum. Honestly nothing tops that, Andy loved the Foos from Day one as you all know. The FA cup final was a bit trickier, Arsenal reached the final but we could not get hold of a ticket and infact it all clashed with a chemo weekend but again we struck gold when some dear friends got in touch with the CEO of Arsenal and 10 days before Andy died we were guests of the club at a home match. Everything we did last year was fitted around chemo schedules and treatment – Glasto, holidays, weekends away, dinners, lunches – Andy did it all, if you compressed the year down there were only a few weeks where he was fit and well enough to do all this stuff, so he made it happen – and this all had to be juggled with Daisy’s respite and later in the year a huge surgery at Great Ormond Street – our life was still going on, just everything had gone into warp drive. When Andy developed radiation induced liver damage he had to take a chemo break to allow his liver to recover, the liver recovered but the cancer then took it’s chance and infiltrated. On the 25th of November , the evening before his 53rd birthday we were told it was terminal and it was time to involve palliative care and hospice services. We were floored but once Andy had got his head around it (how do you ever get your head around that sort of news) he was quizzing the palliative consultant on what in his experience was the median survival time for cancer that had reached this stage, he wanted to optimise his chances and work out his odds to try and make it through to 2016, just a few more months. It just wasn’t to be, I brought Andy home on 11th December and after a beautiful weekend where we surrounded him with love, he slipped away from us at 12.30pm on Monday 14th December, waiting until the house was quiet and Daisy had gone to the hospice. It gives me a huge amount of comfort that we were able to give Andy a good death, he was at home, in his own bed, he was at peace, he chose to go once the time was right. Andy was my soulmate, the love of my life. We had grown up together. In 27 years we had faced more than most couples face in a life time, even before Daisy we weathered many storms – money worries, redundancy, the death of my father, depression – things that would drive many families apart just brought us closer as we worked through them and found a solution. We were the perfect match, a team, it was scary how connected we were often phoning eachother at exactly the same time or thinking the same thing. Life with Andy was never dull, there were always plans and projects, he was always buzzing with ideas for work, or composing ranty posts on reddit or facebook about politics or religion or whatever was currently on his mind. He lived a full life, a life without fear or regret so when cancer came along we did what we always did, we adapted and rode the waves. I miss him dreadfully, I miss his humour, I miss his cuddles, godamn it I even miss the stinky socks he always used to leave on the sofa. But there is nothing that we left undone or unsaid. Cancer gave us that, we were already seizing every moment but we were able to make plans and talk about what Andy wanted. Andy wanted to take ownership and have some sort of control of his situation, so when his hair started falling out after the chemo he shaved it all off in one fell swoop and he was determined that he would have a choice in where and how he would die. We talked about his funeral , he wanted a party, he wanted people to share memories and laugh and for the children to see the impact he had made on so many lives, he wanted to be here today – but he was so lifted up by the hundreds of messages he received when he told you all he was dying, he knew how much he was loved , how incredible is that gift that he was given to know these things before he died. I’m finding it hard now he’s gone, it is like a part of me has been taken away. We had the most incredible time, we had rows, we had laughs, we had so much fun, we crammed our lives full of experiences, we spent so much time together. He was everything to me and there is a huge void where he once was. I am me because of him and I guess part of him was because of me, our lives, souls, destinies were intertwined so that we grew and flourished together, we gave eachother the freedom to be the people we became, adversity only served to fuel that growth. I am sad, I am a bit broken, there is part of me that died with Andy and will never be the same again but I have four incredible children and he lives on in them, in their gifts and talents, in their humour (deeply inappropriate at times) and their drive to seize the moment and I know on those days when I will just want to hide under the duvet I will hear his voice saying “ come on babe, man up, we’ve got stuff to do”. Thank you for being here, thank you for the love and as the man himself would say – onwards and upwards. 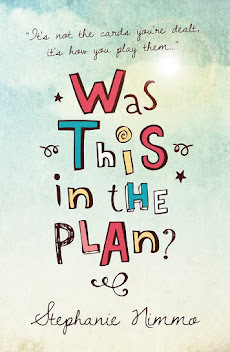 This is the story of my family, and how we are learning to thrive and not just survive when life didn't go quite as we planned. I'm Steph, a suburban mother, sometime Marketing Director, now family plate spinner, journalist, carer, nurse, spokesperson, campaigner and marathon runner (actual as well as metaphorical). I have four extraordinary children, my two boys have a diagnosis of high functioning autism yet they could not be more different, my eldest daughter is a creative social justice warrior, my youngest daughter was born with a very rare genetic condition. In December 2015 I also became a widow, my husband, the father of my children & partner of 27 years, Andy, died of cancer, leaving us with a gaping hole in our lives. 13 months later our darling daughter Daisy died. My life was never going to be predictable but as Andy always said, it is what it is, it's how you respond which makes the difference. 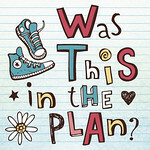 Order a copy of Was this in the plan? What is everyone else looking at? The EHCP Process: An exercise in jumping through hoops? Andy Nimmo. 26/11/62 - 14/12/15. RIP. One Month. One Week. Bowie. Visit Stephanie's profile on Pinterest. SNimmo/wasthisintheplan. Simple theme. Powered by Blogger.